Americans visiting Australia often complain, somewhat imperiously, about the speed of internet connections here. Whenever I’ve been to the USA, I’ve found the internet connections over there slow, so I’m not at all sure who is slower! I never actually measured. Intercontinental competitiveness aside, Australia’s government is rolling out the National Broadband Network, affectionately known as the NBN. The National Broadband Network is a next-generation broadband network designed for Australia’s future needs. The network comprises of three technologies – optic fibre, fixed wireless and next-generation satellite – and will provide more reliable, high-speed broadband access to all Australians. There has been a lot of political fire over the NBN. The opposition don’t want it, the government do. What do the people actually want? Voice your opinion in the comments! Why would the ordinary citizen like the NBN? Allen Consulting estimates that if the number of Australian households connected to the internet increased by 10 percentage points, this would provide gains to households of $2.4 billion a year in current prices in terms of the change in the value of consumption that they are expected to obtain. These gains are achieved through time-saving activities such as telecommuting, remote work and study opportunities, information gathering, price/product discovery and access to health services. That is such a convoluted statement I’m not at all sure what it means to me in real, every day, terms. Anyone care to translate? Hazard a guess? Irrespective of the wordiness of the site, I personally think it is a good move for Australia. Just because I think it is a good move doesn’t mean I think it is going to happen well. 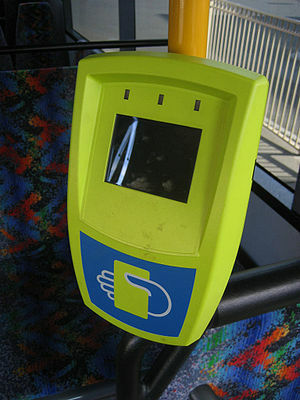 Melburnians will remember the disaster of the Myki and the horrendous budget blowouts and delays. I actually like the ticketing system itself – I don’t like how it happened. I am surprised the NBN is going to take 10 years to roll out. This means that a change of government could see the whole thing stopped mid-project, or stripped right down. I hear it is already over budget. It always seems that any major project driven by government goes over budget. I’m not sure why: sub-contracting commercial enterprises ripping off the government, or perhaps the wheels of bureaucracy turn so slowly that in itself causes the commercial enterprises performing the work to be unable to meet their time lines and therefore their budgets. Lack of accurate projecting scoping? It does seem to be a repetitive pattern, no matter who is in government. Australia is a long way from the “rest of the world”. It takes 15 or so hours to fly to the USA (California) and 24 hours to get to the United Kingdom. In Australia many of us are a long way from each other. Most of the population lives around the coast and Perth is a long way from Melbourne and Sydney. It used to take 12 hours to drive from Melbourne to Sydney: I haven’t done it for a few years and there have been road improvements in that time; perhaps it doesn’t take as long now. It is still some distance! Digital communication is a must for Australia if we are to compete in world markets. Very handy just to compete in our local markets. Our current infrastructure is not going to carry us into the future, something has to be done. I am not going to argue the technical merits or otherwise of the NBN and alternatives, it is not my area of expertise. Of course, politicians being politicians, there are massive arguments on both sides about what each side is or will, could or should do. Not quite as much noise over this as there is over a few asylum seekers arriving by boat though, or perhaps I just read the wrong articles/publications. Does business need it? Do our health system service providers need it? Will we, as a nation, benefit? What I rather wish is that there was an assessment somewhere that I could actually TRUST. I see a lot of argument and both sides can’t be right given they are so diametrically opposed. What I do see is a potentially damn good idea being wrecked by politicians. That, my friends, is the state of internet connectivity in Australia. How is your country keeping up with the digital age? Visit http://myatozchallenge.com/find/countries/ to find more countries and articles on the A – Z Challenge. Check out the A – Z of Australia Menu for other articles on this site. ← Where are the REAL Liberals? While the USA may have faster speeds than us, their network is a patchwork quilt of different providers and technologies including cable, DSL and fibre. Many towns are under-served by a single provider, often a company whose core business is cable TV, not Internet. So we’re actually quite lucky here in AU that we can roll out a national network using a consistent technology: fibre, which provides the highest bandwidth and greatest future capacity, and wireless/satellite only in areas where fibre is presently impractical. Finally I know a bit about the technical details of ISPs connecting to the NBN and ordering services on it, and my impression is that their systems are very well designed and the people are quite competent. While I can’t say what a future Coalition government would do with NBN, the infrastructure that already exists is significant. Welcome Nick and thank you for the information re the USA. I wondered if it was something like you describe, but didn’t know. I believe the NBN is a good thing. Hopefully the opposition are just putting up spin, being in opposition, but of course we won’t know until it happens. It IS a great idea. This is the sort of thing that really needs a national backbone, not various bits and pieces cobbled together from various suppliers. It is very short-sighted to compromise our digital future. I´m not too informed about this NBN, but hope it happens, as you say Australia needs to get ahead and compete with other overseas countries. I know for a fact that the poor, tiny country of Portugal had 5 years ago a much better broadband speed that Australia has at the moment, so something should be done about it, pity it´s going to take such a long time. That is amazing, Sami! Would love to know if little New Zealand is better too. I have to say mine own at home is pretty good, so I can’t complain, but at work it is horrendously slow! Many companies are, hate to think of impact on productivity nationwide. The NBN is this centuries version of the railway. It is referred to as “enabling technology” and the most important thing it delivers is possibility. The possibility of working and finding employment in ways that are either on the verge of possibility or will be possible in the near future. It will also reduce the costs of delivering medicine, education and commerce to all parts of Australia and greatly increase the viability of life in regional & remote Australia. In a society which sees manufacturing industry dieing and the scope for future employment of the young contracting building the NBN and projects like it is vital investment and not optional. Why has this country become so squeamish and undecided about investing in itself? I for one want an NBN & the sooner the better! 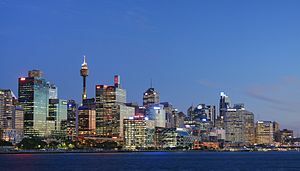 I also want a VFT project to connect Sydney to Melbourne built only from Australian made steel and building a second airport for Sydney ASAP is also probably a good idea too. To progress there must be progress – you can talk plan or cost for ever or for 10 years like the current LNP opposition did when in Government hoping business would do the job for them or you can do it as the present Government has done. I choose doing it. Thank you Peter, for a great contribution! I agree, we need it. I like your logic. I’ve been in favour of the concept from the beginning, but being in the IT industry myself I always worry about being biased in favour of such advances.